Virginia Woolf (1882-1941) was born into intellectual aristocracy as the third child of Leslie Stephen and his second wife, Julia Prinsep Stephen (1846-1895). Along with her siblings Thoby Stephen (1880-1906) and Vanessa Bell (1879-1961), Virginia became acquainted with the circle of writers and artists who formed the Bloomsbury Group, including her future husband Leonard Woolf (1880-1969). In 1917, Virginia and Leonard founded the Hogarth Press, which published key Modernist works including Katherine Mansfield’s Prelude (1918), T.S. Eliot’s The Waste Land (1922), and Virginia’s own Mrs Dalloway (1925), and To the Lighthouse (1927). 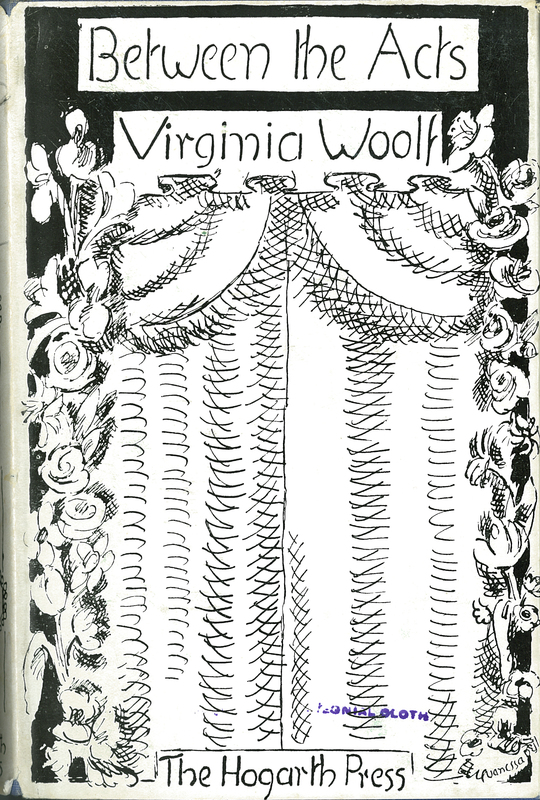 Virginia’s final and posthumously published novel, Between the Acts, features a jacket cover designed by her sister Vanessa Bell. Virginia Woolf, “Between the Acts,” ourheritage.ac.nz | OUR Heritage, accessed April 26, 2019, http://ourheritage.ac.nz/items/show/10213.